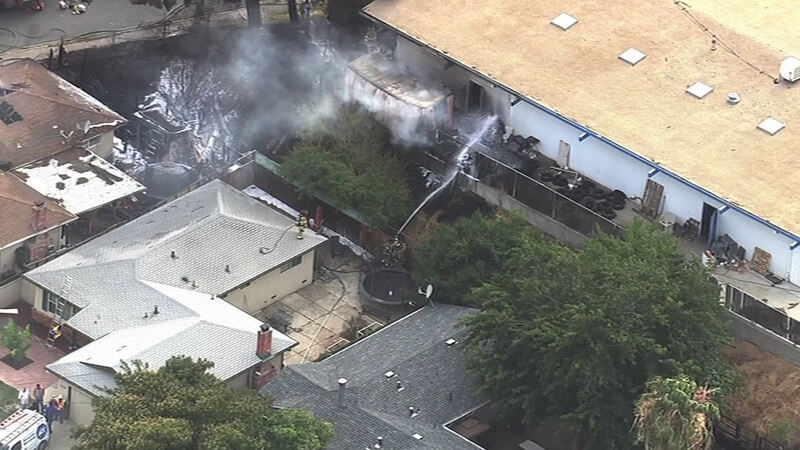 ANTIOCH, Calif. (KGO) -- Crews extinguished a 2-alarm fire at two buildings on Auto Center Drive in Antioch Monday afternoon. At least one home was seriously damaged by the fire. There may also be damage to a nearby auto body shop. Crews said it started with a fence burning in one of the back yards, then spread to one home and moved on from there. Officials said no injuries were reported.